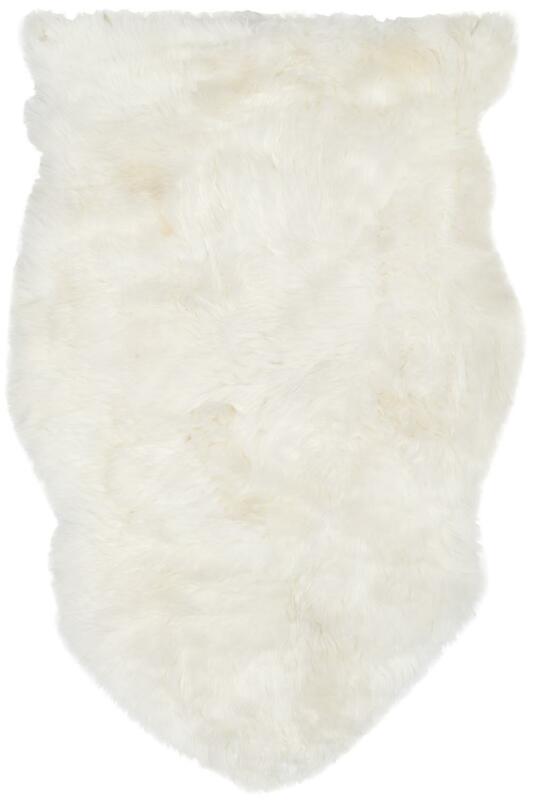 Introducing the Sheepskin Shag SHS211A White area rug from Safavieh. Sheepskin shag rug is made from an authentic sheepskin hide and adds warm and personality to any room. This area rug is Hand Made out of Wool and made in China. SHS211A-2, SHS211A-24, SHS211A-26, SHS211A-3, SHS211A-28, SHS211A-4, SHS211A-6SQ, SHS211A-5, SHS211A-6, SHS211A-8 and 683726367284, 683726688969, 683726367291, 683726367307, 683726688976, 683726367314, 683726688990, 683726367321, 683726688983, 683726689058. Have a Question about the Safavieh Sheepskin Shag SHS211A White area rug?